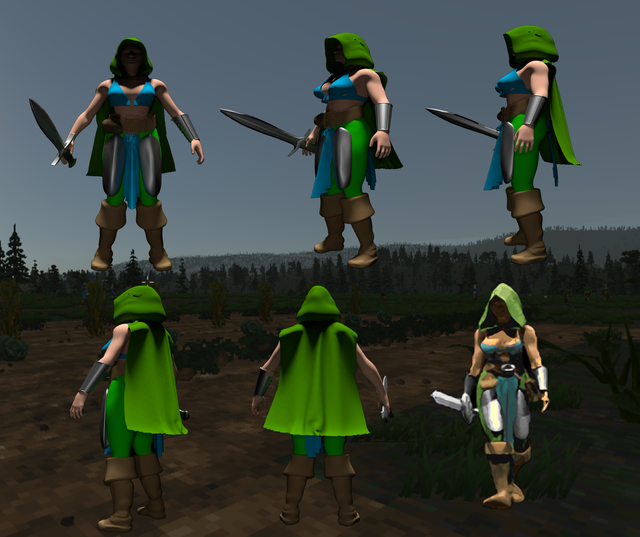 Doing Pre-renders of the 3D enemies in Daggerfall for a side project. The Flesh Golem's first version is up. Looks great with K.O.W. Please, if you have something to say, please feel free to post. I was bored, got some free to use models online and proceeded to create some minor original accessories myself based on the sprites and to try and recreate one of the Daggerfall enemies through Blender. I like them. What do you think? I got the idea after thinking what I could do more with Villager immersion Overhaul. Not sure if this will go anywhere but I thought I'd share. Last edited by Kamer on Thu Apr 04, 2019 6:35 pm, edited 4 times in total. And that's pretty long for a short sword. Just saying. HAHA LOL now I see when I used translator, its like I said "very nice, its ugly af" I guess sometimes using a new english word doesnt work out that well... I will keep it there for fun purposes. Because I have no clue how to explain what I really ment, and I dont want to mess it even more. Bottom line is, I LIKE IT! I assume you meant "revolving", as in "turning around itself". Thanks for the feedback, they are revolting! The Evil Overload approves !